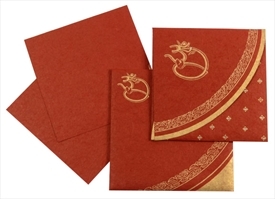 D-4703, Red Color, Handmade Paper, Hindu Cards. 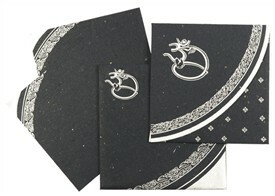 The front of this handkerchief style card has traditional motifs and design with an embossed Om-Ganesh in the center. 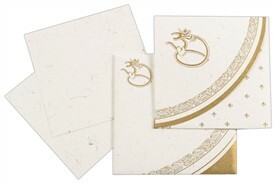 Rhinestones add to the decoration on front. 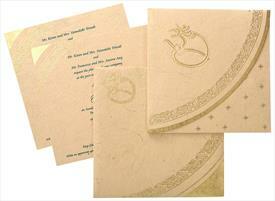 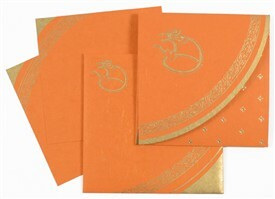 The 2 Inserts and envelope also has a matching border. 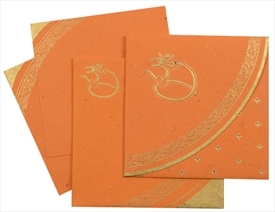 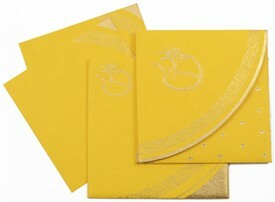 The stylish flap of the envelope also has same design as front of card. 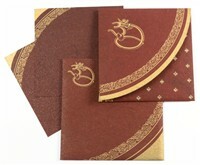 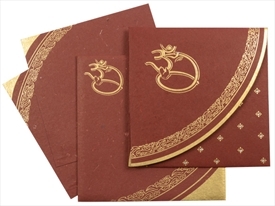 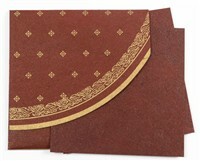 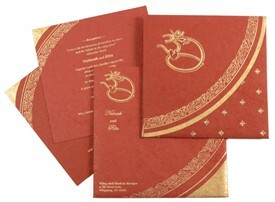 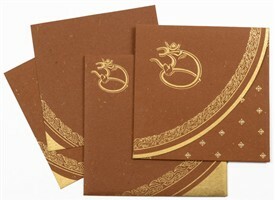 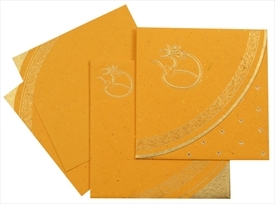 Maroon color glitter mottled handmade paper (250gsm) for handkerchief style card, 2 inserts and mailing envelope.